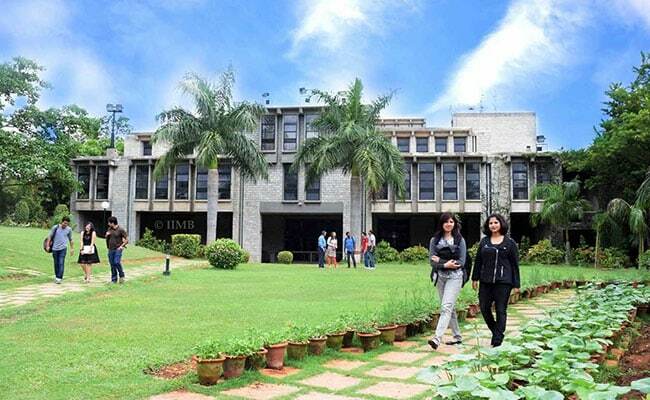 New Delhi: IIM Ahmedabad and IIM Bangalore have been ranked among the Top 10 in the list of Financial Times Asia-Pacific Business schools 2018, released on Monday. While IIM Ahmedabad (IIMA) has been ranked on fourth position, IIM Bangalore (IIMB) takes the eighth position in the overall ranking, alongside schools like Shanghai Jiao Tong University (China); CEIBS (China), National University of Singapore Business School (Singapore), among others. IIMB and IIMA are among four Indian B-schools to be featured in the whole FT list. The ranking saw Indian Institute of Management (IIM) Calcutta and Indian School of Business (ISB), Hyderabad in its list. IIM Calcutta is ranked on 13th position as ISB is ranked on 17th. The IIMA maintained its last year position (4) in the latest ranking while IIMB fell two places, from sixth to eighth. However, IIMB Director Professor G Raghuram that it is a proud moment for IIMB to be recognised as one of the top management schools in the Asia-Pacific region. He also said the FT ranking strengthens our belief in our methodology and commits us further to provide high quality management education. “Through our programmes, we give our students a competitive and challenging environment. Our curriculum provides a unique blend of strategic thinking, theoretical knowledge and experiential learning,” he added. IIMB’s two-year Post Graduate Programme in Management (PGP) takes the 4th position under the Master in Management (MiM) category. The institute’s Executive Post Graduate Programme (Global MBA), Open Executive Education (Open ExecEd) and Custom Executive Education (Custom ExecEd) programmes were also ranked at 9th, 7th and 8th position, respectively. The top-25 ranking is based on the quality diverse course offerings at business schools.